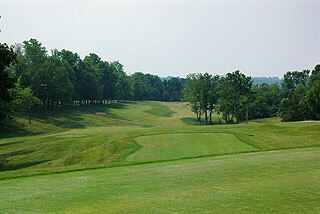 Lassing Point in Union, KY. is a par 71, 6724 yard championship golf course located just south of Cincinnati off of I-71. 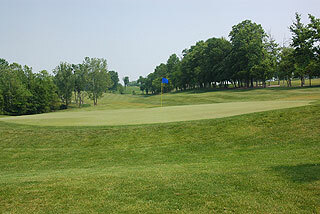 In 2003 it was Kentucky's #1 rated public course according to Golfweek, it hosted the 1996 and 2000 KY Open, and the 2002 and 2004 NCAA Regional Championship. Four sets of tee boxes play to distances and slopes measuring 6724 yards/133 slope, 6256 yards/129 slope, 5784 yards/125 slope for men, 130 for woman, and 5153 yards from the front tees, with a slope of 119 for men, and 123 for woman. Sixty three soft sand bunkers are situated near the landing zones off the tee or greenside, and water comes into play on 8 holes. On course the fairways are marked in 25 yard increments from 50 to 250 yards out to the center of the greens on all par fours and fives. Color coded flags indicate front, middle and back hole locations on the medium sized, mild undulating putting surfaces. 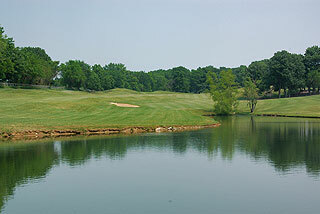 This is a beautiful golf course which is secluded from any residential or commercial development. 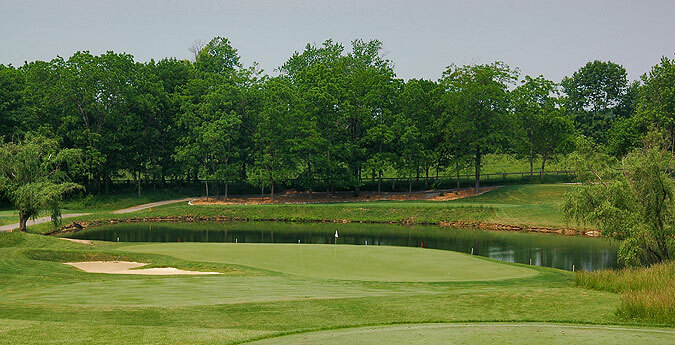 Pay attention to the pin placement on the eighteenth green - a beautiful finishing hole with a great view from the fairway to the 101 yard deep green. On property is full practice facility which includes a grass range, short game area with sand bunker, and a putting green with 33 different types of grass. The clubhouse features a pro shop, locker rooms with showers, and a snack bar serving lunch items. 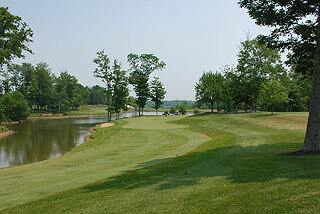 Although it is not a very long course, Lassing Pointe is challenging. 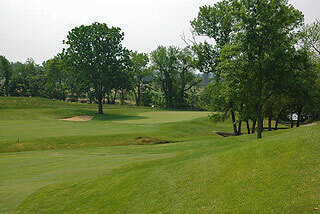 The layout features a good mixture of wide opened, and tree lined fairways without much room. 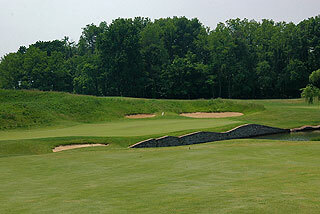 There are plenty of elevated tee boxes and greens, with mounded sloping landing zones in between. 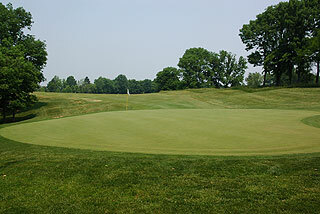 The large greens provide a decent target from the approach, but the depth and undulation of the putting surfaces may cause problems for golfers aiming for the center. 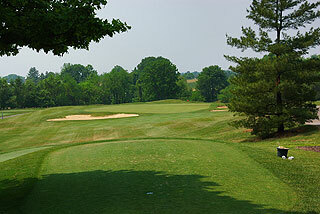 Lassing Pointe Golf Course is highly recommended and should be considered on of the best values in its region. For more info, visit our detailed listing page for the course with a direct link to their website by clicking here.